Fiat Ducato 2.3 Euro 6 Automatic with Comfortmatic gearbox. Two rear high single beds. Drop down bed above living area. Tyre repair set. Extended Wing mirrors. Rear tinted and double glazed windows with vents. XPS floor heat insulation. Sky lights come with blinds and insect screen. Gas regulator with over-pressure protection. 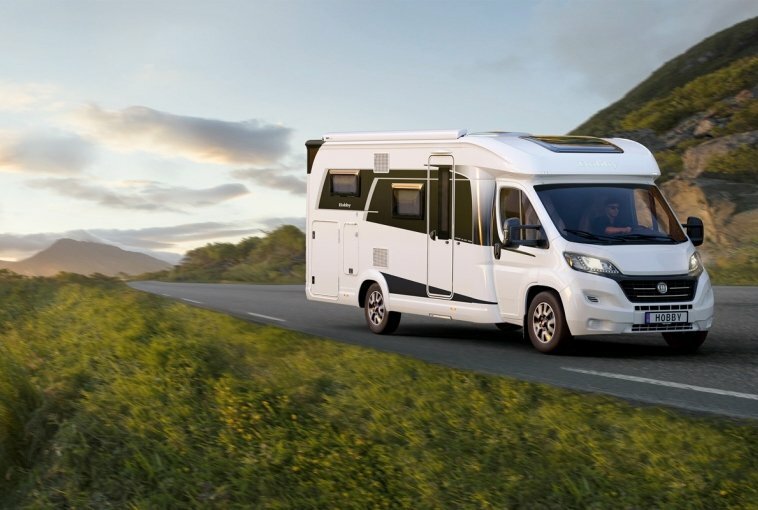 Thule Omnistor awning canopy, 16″ alloy wheels, grey metallic paintwork, Dometic gas oven, L seating option, Blaupunkt Sat Nav, / Radio / Reversing Camera / Bluetooth phone connectivity, cream leather upholstery, Premium back panel, rear corner stedies. Dometic slim tower fridge, 140l .incl 12l removeable freezer. Conveniently sized, fully extendable drawers with soft-close mechanism. Oven with electric ignition & interior light. Light switch controls in sleeping area. Heating system TRUMA Combi 6E incl. 10l hot water supply system & frost monitor valve. Hot water supply in kitchen & bathroom. LCD control panel TRUMA Combi CP Plus. Compact bathroom with integrated shower. LED work surface lighting in kitchen. Navigation system DAB+ incl. CD / DVD player, reversing camera & pitch database. Pre wired for satellite system. Waste water tank, 92l, insulated & heated. Fresh water tank, 10/100l, frost protected. AGM on board battery, 12V / 95Ah. Frost protection in floor insulation. Gas regulator with over-pressure protection and pipe connection. TFT control panel incl. CIBUS & battery management with HELLA battery sensor.